(CNN) - In a controversial move, the Commerce Department announced Monday that the question of citizenship will again be included in the 2020 Census. President Donald Trump's re-election campaign endorsed the idea in an email to supporters last week. 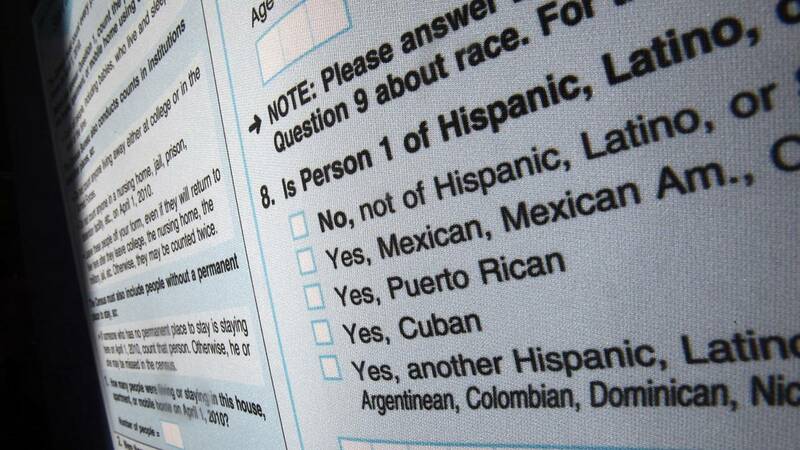 "The President wants the 2020 United States Census to ask people whether or not they are citizens. In another era, this would be COMMON SENSE... but 19 attorneys general said they will fight the President if he dares to ask people if they are citizens. The President wants to know if you're on his side," the email said. "This is an arbitrary and untested decision that all but guarantees that the Census will not produce a full and accurate count of the population as the constitution requires," said Kristen Clarke, president and executive director of the Lawyers' Committee for Civil Rights Under Law. In a statement, the Commerce Department said, "The citizenship question will be the same as the one that is asked on the yearly American Community Survey (ACS). Citizenship questions have also been included on prior decennial censuses. Between 1820 and 1950, almost every decennial census asked a question on citizenship in some form. Today, surveys of sample populations, such as the Current Population Survey and the ACS, continue to ask a question on citizenship." In an op-ed published Sunday, California's attorney general and secretary of state called the addition of the question illegal based on Constitutional requirements. Xavier Becerra and Alex Padilla also accused the Trump administration of trying to "hijack the 2020 census for political purposes." CORRECTION: This story has been updated to reflect the timing of the Commerce Department's announcement.